UW | Live, laugh, love! 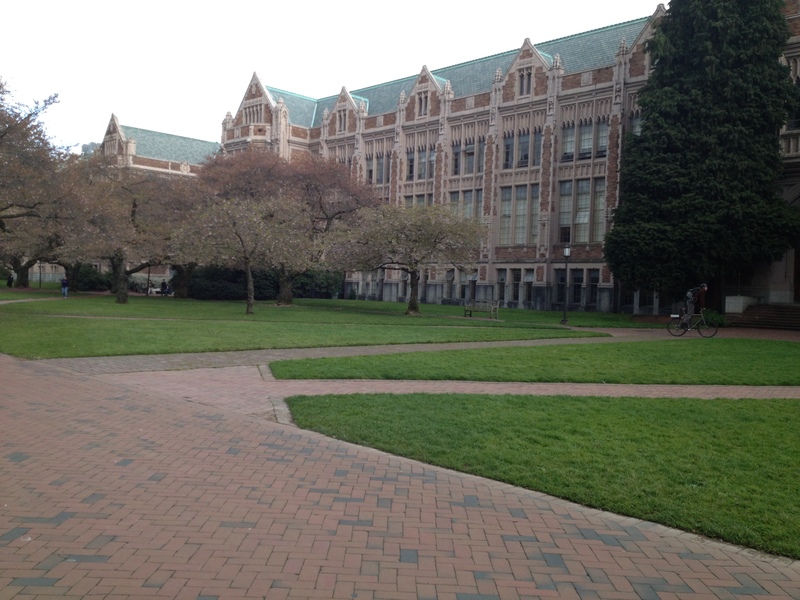 In 2011, I transferred from Edmonds Community College to the University of Washington. 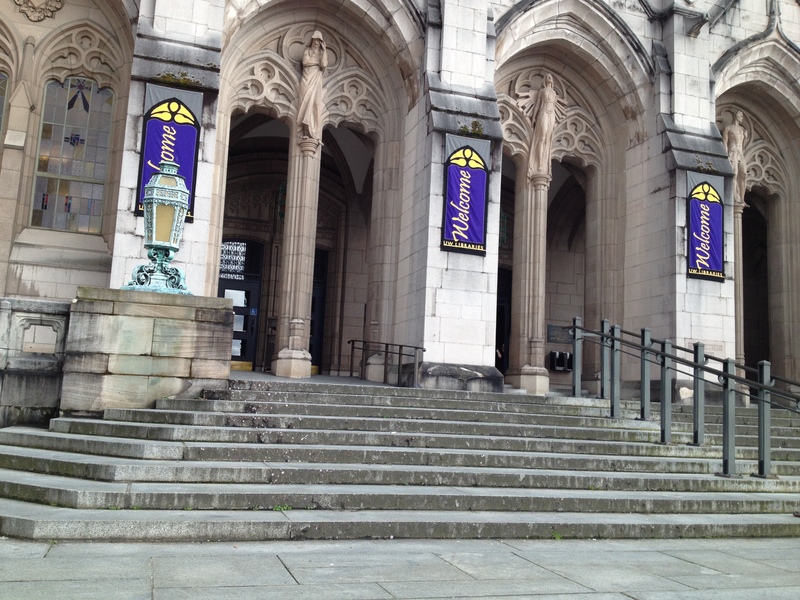 I was elated to be part of the UW community, the place known for its quality education and producing the most successful citizens of the world. It was this place that gave me a promising perspective of how I view the world and how I carry myself in the community. Yes, the steps I took at UW prepared me to think on my feet, engage with poise and be heard in this world filled with too much noise. Looking back at the moment I stepped on these campus grounds, I could smell, feel, hear, see, and taste success. It smelled like old books filled with knowledge to sustain my brain, it felt heavenly like home, it sounded like students chattering about new innovations, and I could see myself morphing into an intellectual person with the ability to make an impact in the world. I knew right away that I was in the right place, where I had the capability to write a new chapter of my life. 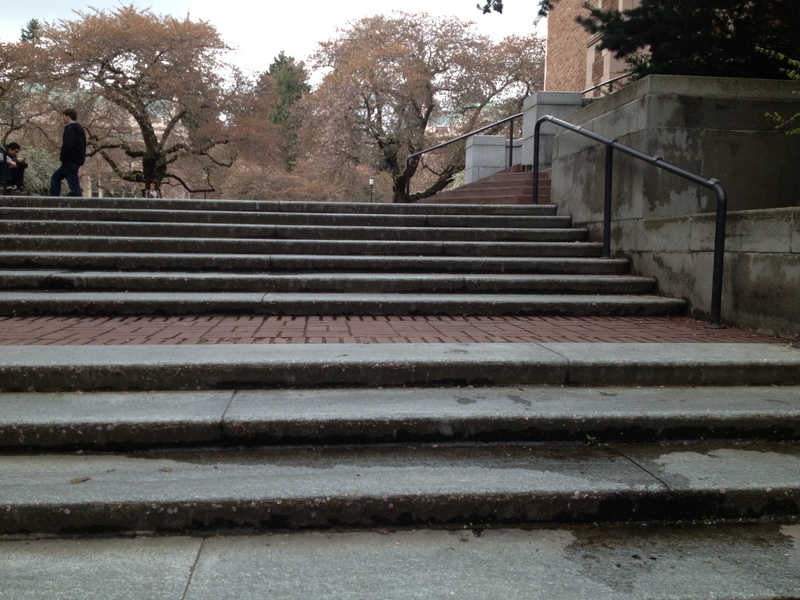 These steps symbolizes courage and unfaltering zeal to arise from nothing and tread on the steps of Suzzallo Library, the steps of the intellectuals that led many to promising career. To walk on these steps, you don’t need to be rich, you only need to bring your A-game and sacrifice your time to immerse yourself in all kinds studies and research. In short, anyone is capable of rewriting his/her own destiny, it only takes determination, perseverance, discipline, and focus to make it a worthwhile. If you have what it takes, you too can do great things for yourself and believe in your dreams, most importantly take action and get things going. Don’t be an empty entity, go ahead and make a mark in the world and walk shoulder-to-shoulder with shakers of tomorrow’s world. Remember to step up your game and rise above all odds. In the meantime, live, laugh, love, and make things happen for your own sake. I can definitely say with conviction that every step I have taken has led me to where I am today. People say life is full of “ups-and-downs,” well, I certainly agree. It is evident that when I look at my life and where I have come from, it is easy to just give up and dwell in my sorrows, but thats not the course I’m taking or leaving for my legacy. Having this kind of outlook on life, has helped me look at failure and rejection with a different perspective, that is, a perspective of leverage. I have come to understand failure as a prerequisite of success. With that said, every person has got an obligation to either fight back with a bang by staying on your feet and taking a step of confidence or give up and lick your wounds. In my life, I have fallen many times, I learned to pick myself up and faced life in all its ugly ways. I must confess, I’m still falling, but this is not going to stop me march towards my dreams, because no matter what kind of hurdles are in my way, I know I will eventually get there. It takes perseverance, drive, focus, courage,persuasion, and hard work to get to where you want to be. And yes! it is not easy, it takes a strong minded person to overcome the hurdles of convenience and laziness. For instance, my life, took me from Zambia, where most women are defined by marriage. I knew I was destined to do something different, but I had no idea and did not know where my life’s journey will end up to. Without giving up, my little steps of confidence landed me in the land of the free and the home of the brave. Without forgetting my core values, which are: perseverance, drive, focus, courage, belief and empathy, I testify that I’m beginning to see light at the end of the tunnel. Today I’m a college graduate from the University of Washington, with a bachelor’s degree in communications and social sciences. As I walked on 06/15/2013, I knew I was taking a step of confidence into a new chapter of my life, and now the sky is the limit. I now believe that it is time to join hands with a reputable NGO to help the under privileged. This was the pledge I made, even when I had no idea how I was going to make a difference in the world, since I have the right tools I can do more and I’m so ready. Finally I pledge to take a step of confidence to be a citizen of the world and join hands with a non governmental organization and make a difference.